The holiday season is one of our favorite times of year at the Neighbor Foundation! Employees from our offices around the globe come together volunteering and helping to bring holiday cheer to many of our nonprofit partners. Here is a look at what many of our elves have been up to this holiday season of our offices around the world. In London, we wrapped presents for Children of St. Mary’s Intensive Care (COSMIC) which supports the Children’s Intensive Care Unit at St Mary’s by helping patients and their families, and enabling their dedicated team to treat hundreds of critically ill children each year. Santa - aka one London employee - also stopped by COSMIC’s Christmas Concert. The concert was held for past and current patients to spread the seasonal spirit and included festive readings, holiday songs and holiday treats. In our Dublin office, we went caroling as part of Dublin Simon Community’s “Sing for Simon” Fundraiser. Simon works to prevent homelessness and provides services for people who are homeless. We also partnered with Temple Street, which is a children’s hospital to decorate their walls and bring festiveness to the hallways of the hospital. Additionally, we hosting a gift wrapping session in our Dublin office to wrap presents for Temple Street. This year in Copenhagen, employees purchased holiday gifts for families in need in partnership with the Grace Shelter. Grace Shelter is a place for people who are experience homelessness to access essential resources such as food and a place to sleep. In addition to festivities in each office, we hosted two regional activities in EMEA that brought together our teams as well as benefitted our neighbors. The EMEA Finance team put 100 Christmas packs together today for Dublin Simon Community. Each pack included a pair of gloves, beanie, tea, coffee, sweet and biscuits. 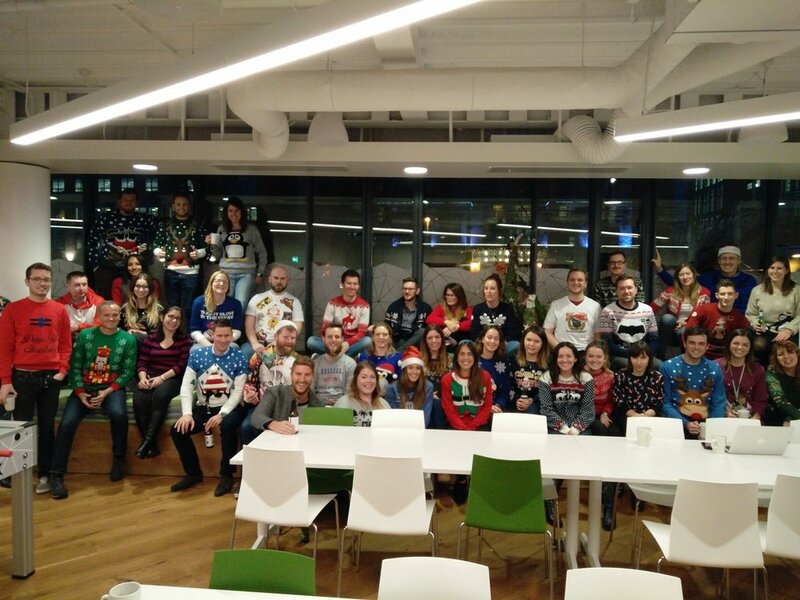 We also hosted a Holiday Jumper Day in our London, Dublin and Montpellier offices. 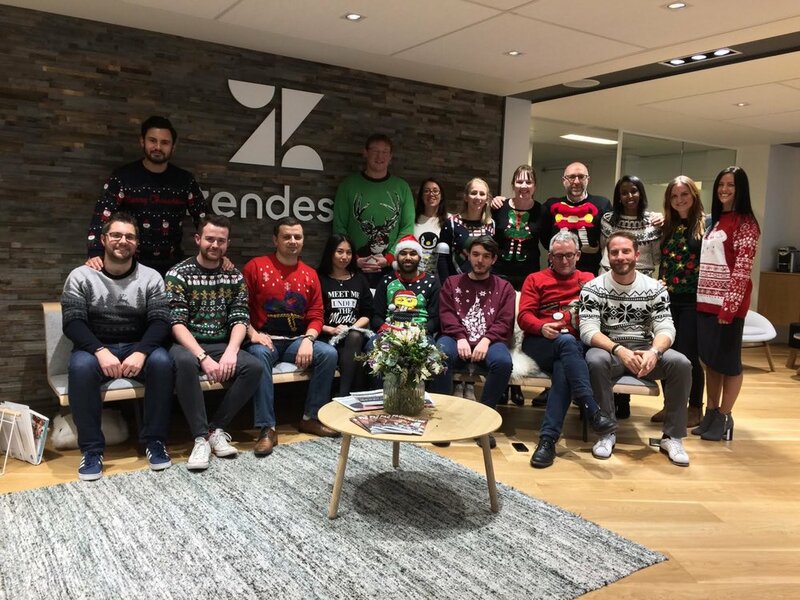 Many employees dressed in their most festive jumpers while raising money in the office for local non-profit partners. 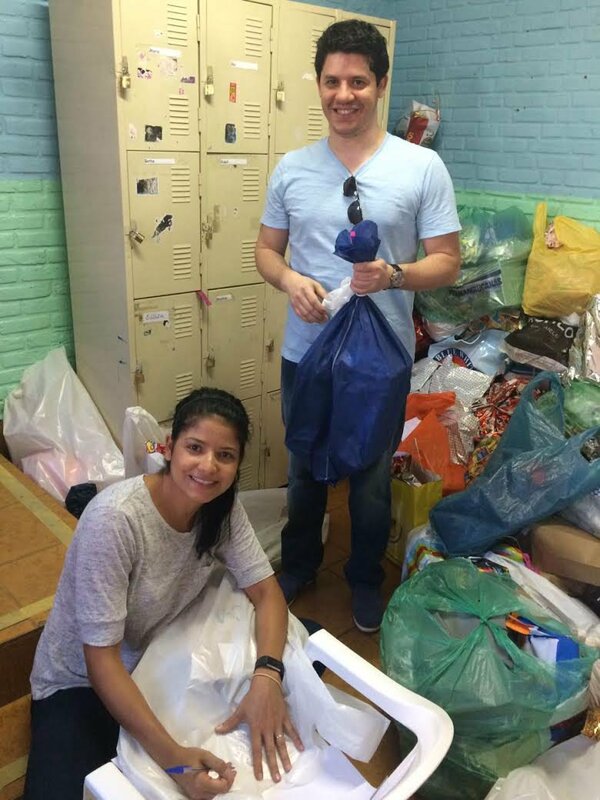 We worked with Projectos Amigos das Crianças, a group of orphanages in São Paulo. Employees volunteered at their site to wrap gifts and we offered them a grant to support their holiday initiatives. This year, we participated in Adopt-a-Family through Compass Family Services and adopted 10 families. This program matches donors with families who are homeless or extremely low-income. Through participation from most of the office we were able to purchase all of the gifts for our neighbors. We even had a group of volunteers help give the presents to the families. 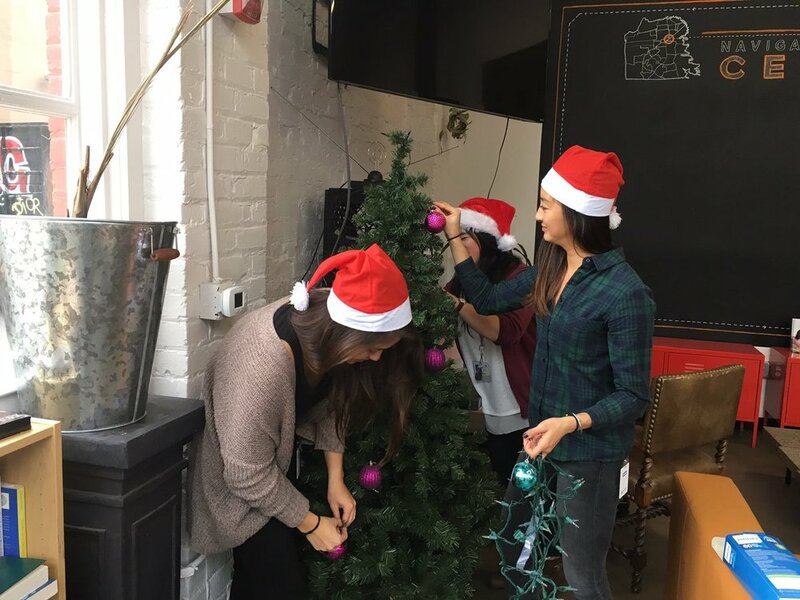 We also ventured out to the neighborhood and helped to decorate 11 Community Housing Partnership’s tenant building around the Tenderloin with holiday decor. This year in Madison, our management team partnered with Madison Area Food Pantry Gardens to help them package over 550 pounds of cornmeal to be donated to food pantries around Madison. A bunch of Madison employees also doubled as elves this holiday season at The Boys and Girls Club and helped wrap donated gifts. This holiday season we want to thank all of our non-profit partners around the world for their hard work and dedication. While we know the challenges are great, so are the opportunites to come together and make a real difference. Happy Holidays and we are looking forward to 2017!